OLD PARKED CARS. 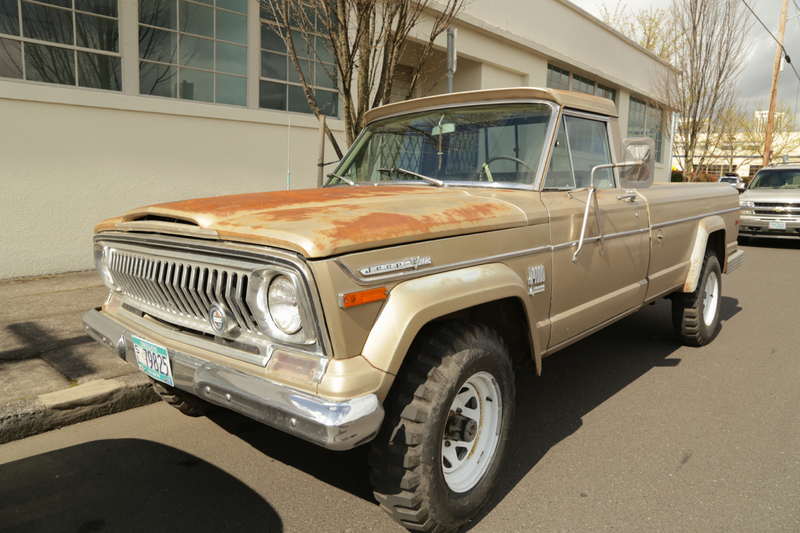 : 1973 Jeep J4000 Custom Cab. 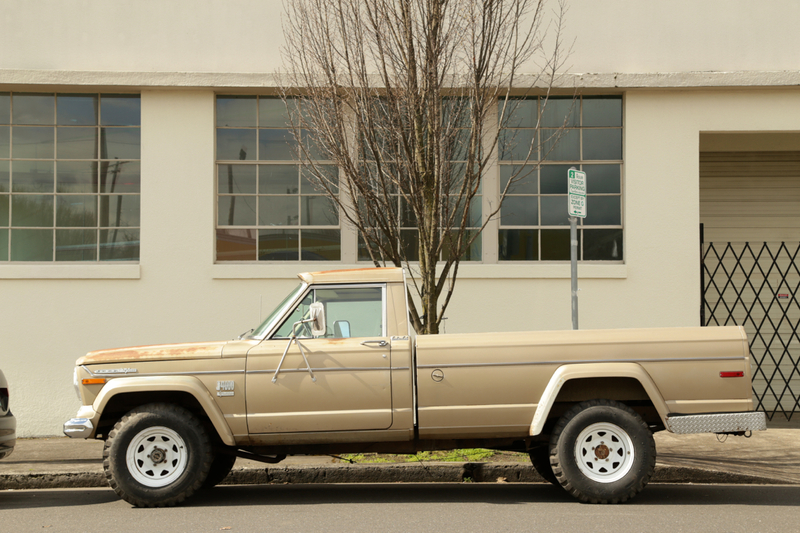 1973 Jeep J4000 Custom Cab. I agree, Cap'n! The only thing that ruined these trucks for me, was the cab, from the windows, up/thin cheesy A-pillar/weird roof. Kinda spoils the look. And they sure beat the cheesy down-sized next generation Jeep pick'em-ups that came after them. I can't remember the last time I saw one of these trucks....and I don't think there are many left- rust in the rest of the country must've got 'em all. bought one of the smaller pick-ups when I had the chance. Oh well, you snooze, you lose! I always admired JEEP pickups. The smaller Jeep pickup was the Comanche 1986-92..
to marry, don't do it! Just think of the classic car you might lose someday! LOL, Cap'n! (re: Scavenged parts from Wagoneers)- Sounds like the typical AMC modus-operandi! 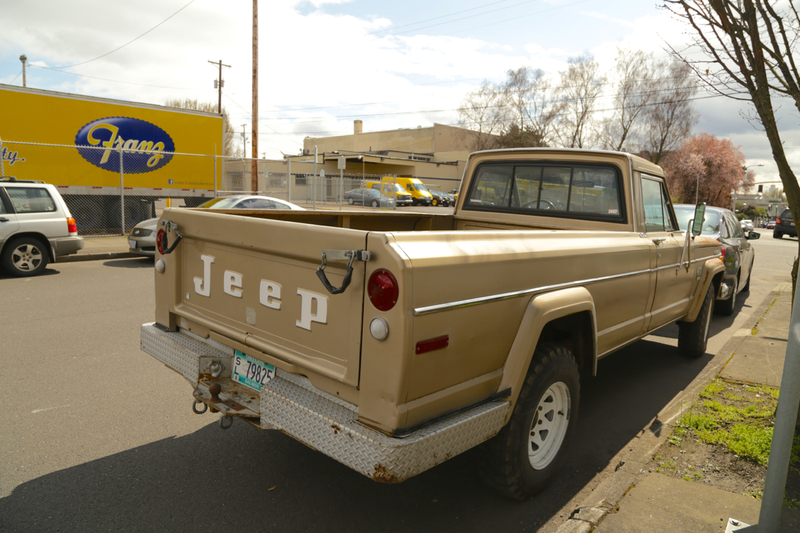 The J-truck actually came out before the Wagoneer and the "brow" on the cab was never seen in either the SJ Wagoneer or Cherokee. Believe it or not, they did put some actual thought into the design of the cab.